Friends of African Nursing (Canada) was started as a charitable organization after inspiration from the results of FoAN (UK). It was apparent to Kate Woodhead and Lesley Fudge, two English nurses, that the current health systems in African countries did not provide continuing education, access to professional journals, specialty perioperative education or a professional association. 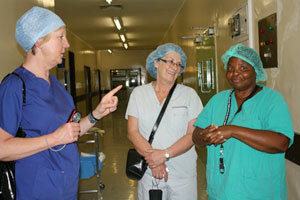 By gathering support and funds, FoAN (UK) delivered its first program to nurses in Uganda in 2001. FoAN (UK) gained charitable status in 2006 and has, since its inception, provided education to over 1200 nurses in 9 African countries. A group of nurses who became familiar with the work and success of FoAN (UK) started FoAN (Canada) in 2010 and received charitable status in 2012. Linda is a past and current executive member of both the Operating Room Nurses Association of Ontario (ORNAO) and ORNGT and long standing member of the ORNAO 2014 Provincial Conference Planning Committee. Linda has worked in nursing for 30 years, 20 of those years were spent in the operating room of a paediatric trauma/teaching hospital, as a staff nurse, charge nurse, research nurse and informatics nurse. Linda has spent the last 5 years working at a large regional health centre, MOHLTC and Cancer Care Ontario as a perioperative nurse consultant and clinical informatics nurse. Currently, Linda is employed as a clinical informatics nurse and project manager for Perioperative Services at a large trauma/teaching hospital. One of Linda's many passions is medical/surgical mission work and she has participated in many missions both with No Boundaries (a team comprised primarily of the Hospital for Sick Children staff) and the International Children's Awareness (ICA). Mary is a Past President and Past Board Member of the Operating Room Nurses Association of Canada (ORNAC), and past Treasurer of the International Federation of Perioperative Nurses (IFPN). 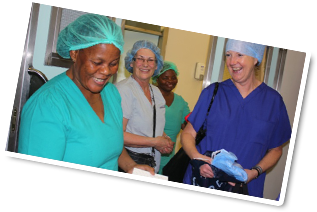 In 1999, Mary became aware of the need to support perioperative nursing education in Africa after seeing a presentation in England at the National Association of Theatre Nurses (NATN, now AfPP) Congress. 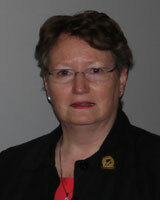 As Program Co-Chair, Mary invited Kate Woodhead to present the keynote address at the 2003 ORNAC Conference, where Canadian nurses were captivated by her presentation depicting the realities of perioperative nursing practice in Africa. Recently retired, Mary worked in perioperative nursing for over thirty years, as a staff nurse, an educator and manager / director. 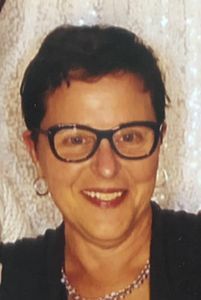 Marilyn is a retired Nurse Educator, living in Toronto, Ontario who became inspired to be involved in starting FoAN (Canada) after meeting Kate Woodhead and hearing about the wonderful work of FoAN (UK). 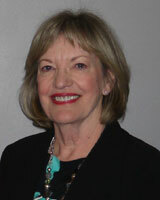 Marilyn's teaching and clinical experience primarily focused on Community Nursing with an emphasis on Primary Health Care as defined by the WHO.